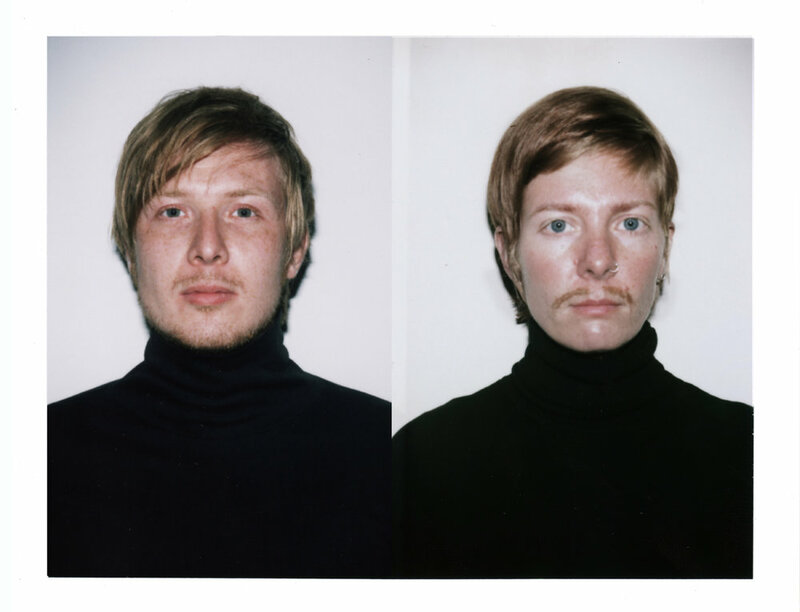 Artist Millee Tibbs has a deep interest in the complex relationship between physical appearance and personal identity, between what we see and what we know. Through three distinct yet interrelated conceptual projects, Tibbs explores photography's role in this relationship, noting its "duplicitous existence as both an indexical representation of reality and a subjective construction of it." In "Self-Portraits," a series of what appear to be black-and-white landscapes, Tibbs gives us captions which contradict our visual understanding of what exactly is being portrayed. Then for "Do You Look Like Me?" 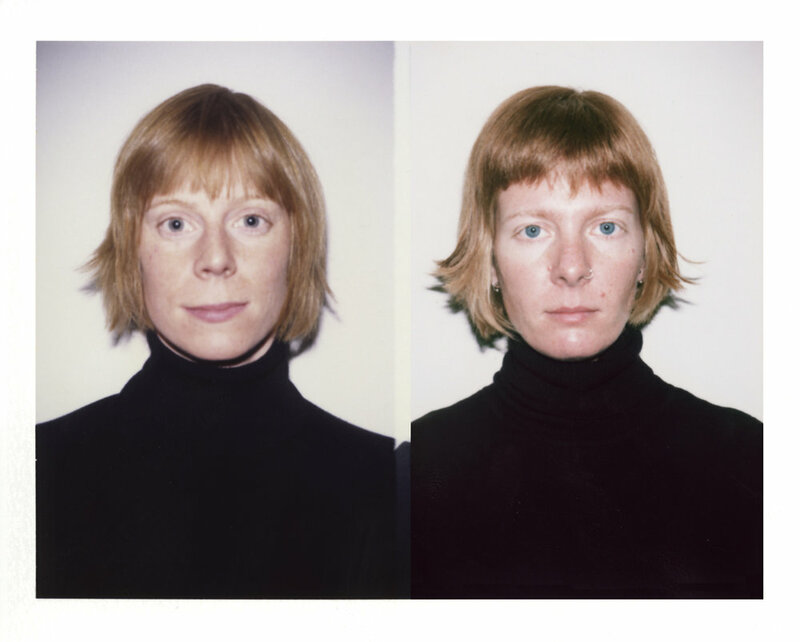 she pairs pictures of herself with passport-style instant photos of individuals who think that they resemble the artist, making a visual archive of Millee Tibbs doppelgängers. And finally in "This is a Picture of Me," Tibbs re-enacts poses she made for childhood snapshots, and creates new composite images of her adult self in the original scenes, evoking the impossibility of going back to childhood and questioning the desire to do so. Millee Tibbs was born in Huntsville, Alabama, and lived in Spain and the Dominican Republic before moving to Providence, Rhode Island, where she currently resides. She holds an MFA in photography from the Rhode Island School of Design and a BA in studio art and Hispanic studies from Vassar College. Tibbs has exhibited nationally and internationally at venues including Notre Dame University, Indiana; 55 Mercer Gallery and Winkeman/Plus Ultra Gallery, both in New York City; David Winton Bell Gallery at Brown University, Rhode Island; Paul Robeson Gallery at Rutgers University, New Jersey; and at both the Museum of Modern Art and Spanish Cultural Center in Santo Domingo, Dominican Republic. Her work is currently held in the Pierogi 2000, Brooklyn flat file and is a part of the online database at the Elizabeth A. Sackler Center for Feminist Art at the Brooklyn Museum. Tibbs teaches at the Rhode Island School of Design.